Community Services plans to overhaul and expand its campus over the next three years. 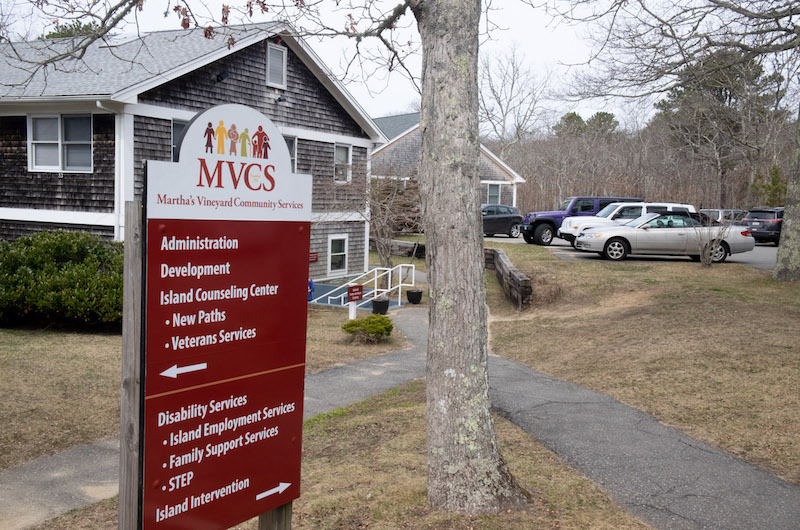 A three-phase, $17 million campus redevelopment plan for Martha’s Vineyard Community Services is one step closer to launch after the project got a green light from the Martha’s Vineyard Commission Thursday night. The 11-1 vote to approve the plan with conditions capped an exhaustive review that included multiple public hearings and two hours of debate and deliberation by commissioners Thursday. The Island’s sole umbrella social services organization founded more than half a century ago, Community Services provides mental health counseling, early childhood programs, disability services, 24-hour domestic violence services, substance abuse counseling, veterans services to Islanders. The campus, which sits on land leased from the regional high school across the Edgartown-Vineyard Haven Road, dates to the 1980s. The new plan calls for building an early childhood center on land adjacent to the main building that was recently leased from the high school. In the second phase, administrative buildings will be replaced with a new, much larger energy efficient complex. The plan will nearly double the size of the campus, allowing for about 20 more full-time employees. Construction is expected to take three years, with a completion date of fall 2022. South Mountain Co. of West Tisbury is the architect and builder. The plan was under review by the MVC as a development of regional impact (DRI). A public hearing opened in January and closed last month. Conditions will accompany the approval. Landscaping, wastewater, construction management, traffic and shared use of the entrance road were all issues raised during the hearings. Traffic was a primary concern. 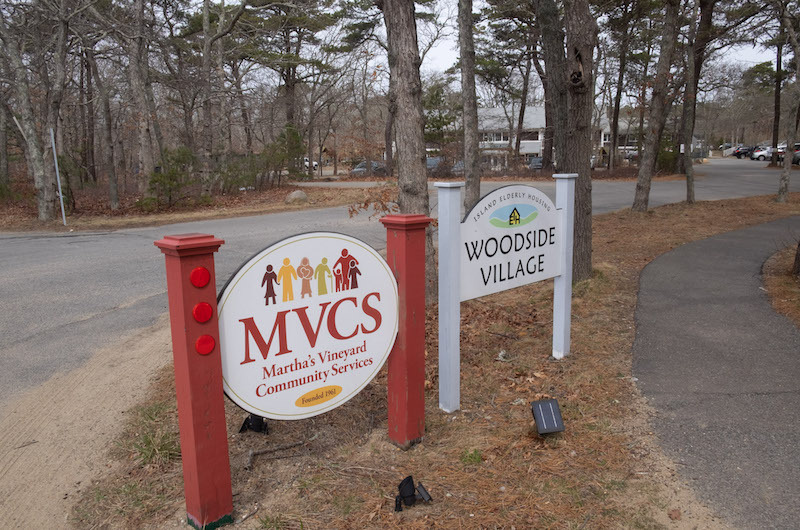 The entrance road to Community Services also services the YMCA and Woodside Village, an elderly housing village. Representatives from Island Elderly Housing, which operates Woodside, expressed vocal opposition to expansion plan on the grounds that increased traffic would overburden the road and endanger residents. They requested that Community Services widen the road, among other mitigation measures. But after conducting a traffic study, the commission found that concerns with the road had little to do with congestion and more to do with maintenance and the general curvature of the roadway. “The increase in traffic, while noticeable, will be within the capacity of the existing road infrastructure,” a report concluded. One condition requires Community Services to work with a newly-formed road association to address road management, including adding a center line stripe, speed limit and caution signs, and clearing debris. “There is a very, very modest increase in traffic, and the only other issue is that they are creating an entrance closer to Island Elderly Housing . . . I think that what we are asking satisfies what our legitimate concerns are,” commissioner Joan Malkin said during deliberations Thursday. One sticking point surfaced over whether to require a contribution to affordable housing per commission policy for DRIs. Community Services had offered to make a contribution, but most commissioners agreed they would opt to waive the policy in light of the mission of the organization, which provides vital services to the most needy Islanders. But commissioner Gail Barmakian, who is also an Oak Bluffs selectman, wanted to require a contribution to the town. Other commissioners disagreed. In an impassioned plea, Josh Goldstein of Vineyard Haven requested commissioners strike the affordable housing offer entirely. Commissioners ultimately agreed, deciding to refuse the affordable housing contribution offered by Community Services. Final approval on lighting, landscape, and construction management plans will still need sign-offs from the commission land use planning committee. The project now goes before the Oak Bluffs planning board for review at the local level. Ms. Barmakian cast the lone dissenting vote. That regional high school must be one of the biggest landlords on the island! Was that envisioned when the agreement on how to share the costs was struck many years ago? I don’t blame Oak Bluffs one bit for getting frustrated by all the other towns deciding to build a campus of non tax paying non profits on what was supposed to just be a school. Every town offers something different to the island which makes the Island work. Edgartown has by far the most public beaches (and free) that all can use and one of the main reasons we have an economy here at all.